Can You imagine that the lovely attractive liquor jar is an umbrella? Yes, is true, it is an umbrella. 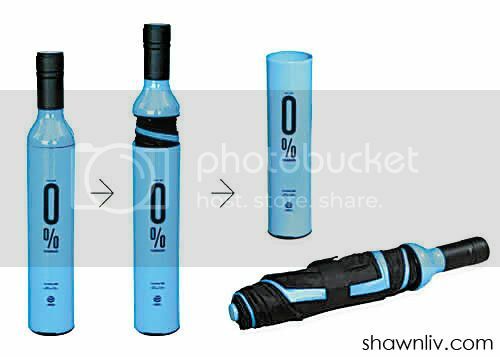 Basically, the designer had been redesign the folding method in order to make the umbrella able to fold as the shape of beverage bottle. Secondly, the overall outlook is quite creative and nice. Therefore, you can use it as decoration as well. Death of Whale Shark – STOP! Shark Finning Now!